I flew from Buenos Aires to Uyuni, Bolivia. Uyuni, the starting point of my "vacation" was a dull and depressing town. Landing at 3700m asl gave a jolt to my system. I got a classic case of altitude sickness: out of breath, severe headache, nausea, insomnia, swollen hands and face. A half hour after I left dusty Uyuni in a sturdy 4WD with Valerio, my driver, we entered the Salar de Uyuni, the world's largest salt flat. It's a lot of salt, more than 10000 sq km of it. I had a lunch in the middle of it - I only needed to reach down to add salt to my food. There are a few islands on the salt flats, we headed to Isla Incahuasi. The view from the top was amazing: salt stretching out for dozens of kilometers, surrounded by mountains. 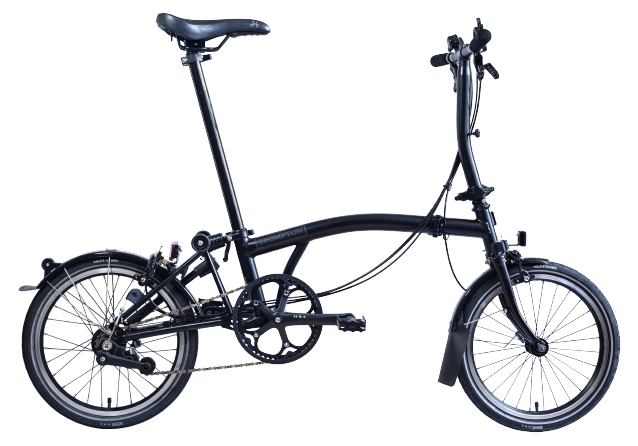 When I came down I got my Brompton out of the car and rode for some 20km. I could've done more but the flats became too bumpy for my small wheels. I got back in the car and headed off to San Juan de Rosario, where I spent the night in a hostel made of salt bricks. One of the reasons I came to Bolivia was to ride on the “world's most dangerous road”. The so-called Death Road is a very narrow mountain road with many dangerous turns and steep slopes, where hundreds of people used to die every year falling of the cliffs in their vehicles. Now it's used mostly by cyclists. It starts at 4470m asl and finishes over 60km further down at 1233m. 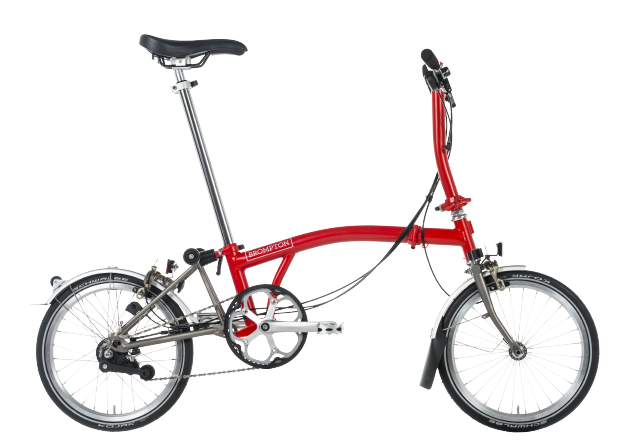 Of course, I wanted to do it on my Brompton! Early morning, at high altitude, the temperature was below freezing. So for the first half hour I was trembling. As I was descending I started peeling off layers of clothes, until I only had a t-shirt but I was still sweating. It is an unpaved and rocky road with a few pools of water created by waterfalls. Because it's so bumpy and all downhill, I spent almost the entire time standing and vigorously squeezing the breaks. Once I got to the bottom, my legs and hands were shaking. The views along the way were to die for. 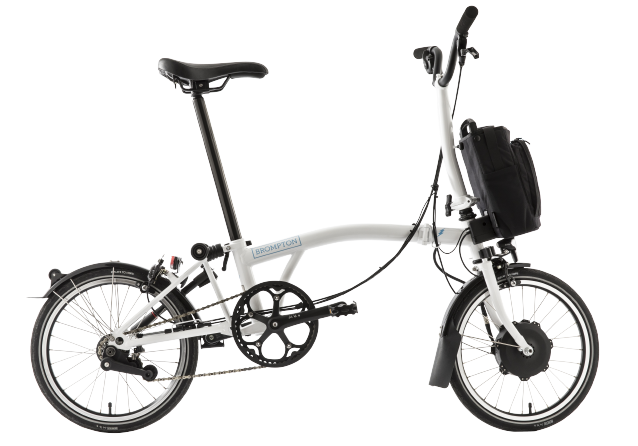 Because of my Brompton's (Greengo) small wheels, lack of suspension and heavy front bag, I couldn't ride very fast, thus I avoided the temptation to do so. But I had my thrill too: as per the rule, vehicles or cyclists riding down must stay on the left, meaning close to the edge. I stayed on the left as close to the edge as I comfortably could, glimpsing down the cliffs. A few cycling groups passed me by. They were surprised to see a foldable bike taking on the same road; some even took pictures with it. Greengo and I came down last but we did it! Greengo will require some cleanup/tune-up and I will have sore muscles for a few days but that's one less thing on my bucket list! My short Bolivian adventure, with its elements of masochism, came to an end.